in Durga Puja, Festive recipe, North Indian recipes, Veg. It's the biggest festive season in India and people are swinging in the air with happiness. With teh arrival of Autumn season, the biggest festivals queue up one after another, starting from Ganesha Chaturthi, Navratri Or Durga Puja, Dusshera and finally the season ends up with Diwali. 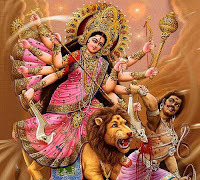 Now, the whole Northern India is celebrating Navratri, dedicated to the worship of a Hindu deity Shakti or Goddess Durga who symbolises primal power. The word Navaratri literally means nine nights in Sanskrit, nava meaning nine and ratri meaning nights. During these nine nights and ten days, nine forms of Shakti/Devi are worshiped. The 10th day is commonly referred to as Vijayadashami or "Dussehra." Navratri is a very important and major festival in the western state of Gujarat and Mumbai, during which the traditional dance of Gujarat called 'Garba' is widely performed.This festival is celebrated with great zeal in north India as well including Bihar, West Bengal and the northern state of Punjab. The same Navratri is known as "Durga Puja" in eastern state of India, West Bengal. 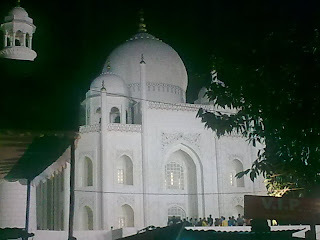 Here, the picture is totally different than other parts of the India during this festival. The whole state celebrates Durga Puja with same zeal, but in the capital of West Bengal, Calcutta/Kolkata, the enthusiasm and celebrations is something one would like to experience once in a lifetime. 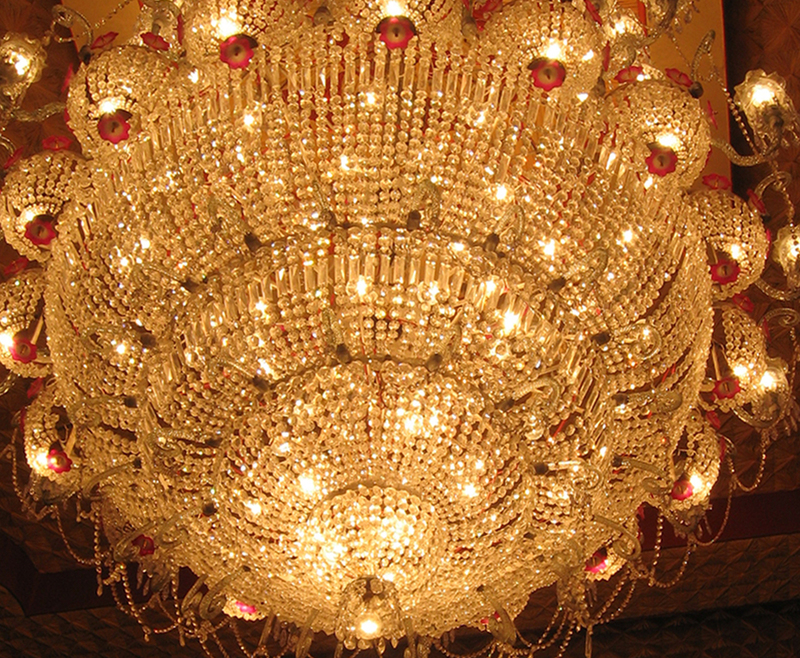 I'll give you a little insight of how Kolkatans celebrate their biggest festival, Durga Puja. 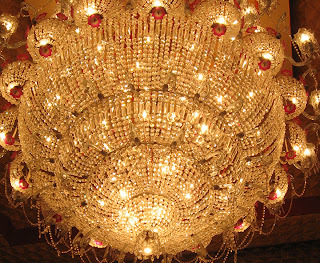 Durga Puja has mostly emerged as a community festival nowadays. 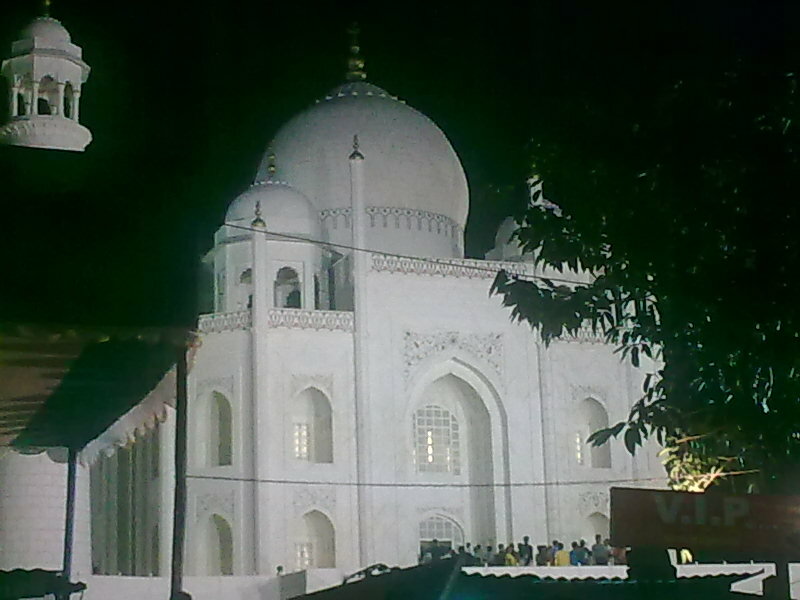 The city of Calcutta takes a different look during these three days, specially at night. Millions of people come to the city and line up before the pandals. The streets are lighted and the electricians display all different kind of light shows. The restaurants are packed and numerous temporary food stalls are opened thoughout the city. Special trains, buses are available, underground metro rail runs beyond regular schedule. People from suburban areas come into the city and roam around through out the nights. Schools, colleges, offices remain closed during these four days. Some people use the holidays to go out for sight seeing and travel. Trains to tourists spots get reserved months before puja. The construction of images of Goddess Durga start months back. 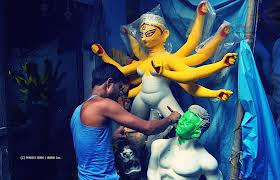 Kumartuli, a place in north Calcutta, is famous as a place for expert artisans who uses clay modeling to build the images of Durga, Mahisasur and her children Kartick, Ganesh, Saraswati and Lakshmi. This is a wonderful form of art and part of a deep rooted culture. In the recent years, eminent personalities from the painting and sculpture world also did lots of creative work on Durga images. Another group of people starts building a pandal ( a covered huge stage ) with paper, wood, bamboos, clothes and other materials. They come up with beautiful structures , most of the times they are so beautiful and real that, it tough to believe that these are made for only couple of days. 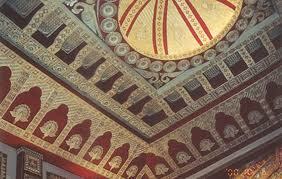 Some constructions are built as replica of world famous structures. 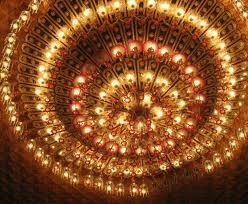 The festival : The festival starts with Mahalaya, is an auspicious occassion observed seven days before the Durga Puja. It's a kind of invocation or invitation to the mother goddess to descend on earth. The inauguration starts on Mahashasthi(6th day). The main puja is for three days - Mahasaptami(7th day), Mahaastami(8th day), Mahanavami(9th day). Three days of mantras and Shlokas and Arati and offerings - needs an expert priest to do this kind of Puja. After the three days of Puja, in Dashami(10th day) , in the last day, a tearful farewell is offered to the Goddess. 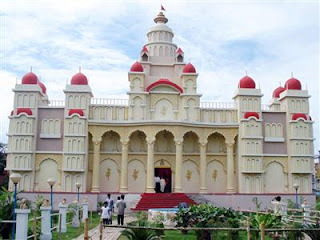 Most of the community pujas postpone the farewell as long as possible and arrange a grand send-off. The images are carried in processions around the locality and finally is immersed in a nearby river or lake. Vijaya Dashami is an event celebrated all over the country. During these Puja days, food-loving bengalis love to just eat, eat & eat and chat with family, relatives and friends. Different kinds of traditional and elaborate, delicious foods are prepared and enjoyed with family. Today I'm sharing a recipe which is not so traditional to bengalis, but North Indians definitely prepare this during these festive days or on any special occasssions. I also love to prepare during festive days or on any special occasssions. 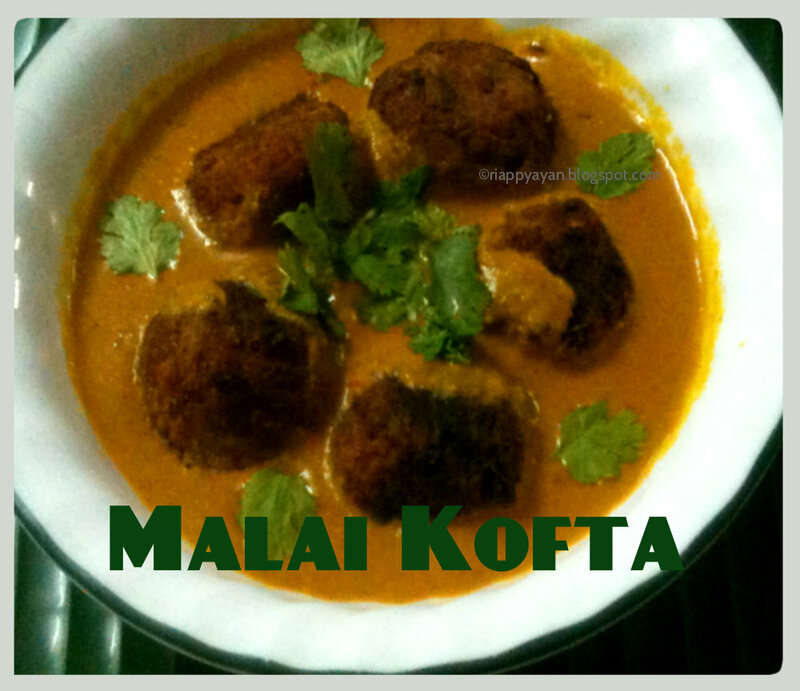 Malai Kofta is a dish where firstly, koftas(soft fried ball) are made either with minced meat or mince vegetables and then the koftas are cooked in a spicy sauce with malai or fresh cream. Fresh Cream : 2 tblsp. In a bowl, take boiled potatoes, grated cheese and boiled green peas, mash everything well, there should not be any lumps. Add rest of the ingredients except cornflour. Mix well again. Mixture should not be soggy, if you feel it is little soggy, add little cornflour to the mix. Now, make round balls from the mix. 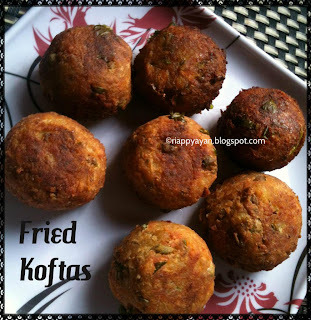 Your koftas are ready to fry. 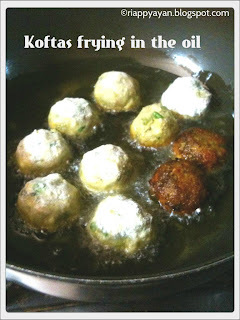 Heat enough oil to deep fry the koftas. In medium flame, carefully fry the koftas from all sides till lightly brown. Drain on paper towel. Now prepare the gravy where koftas will be cooked. Heat 2 tblsp. oil in a frying pan, add onion paste and saute until it changes color. then add ginger-garlic paste and all the spice powders except garam masala. When oil seperates, add tomato puree and mix well. Cook for another 2-3 minutes. Finally, add garam masala powder and add fresh cream after you remove the pan from fire, as the heat can curdle the whole gravy. Again put the pan on heat and cook for another 2 minutes. Remove from fire and keep aside. 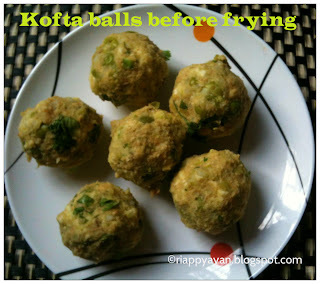 Just before serving, add fried koftas to the gravy. Warm a bit and serve hot. Garnish the gravy with fresh coriander leaves. Labels: Durga Puja, Festive recipe, North Indian recipes, Veg. 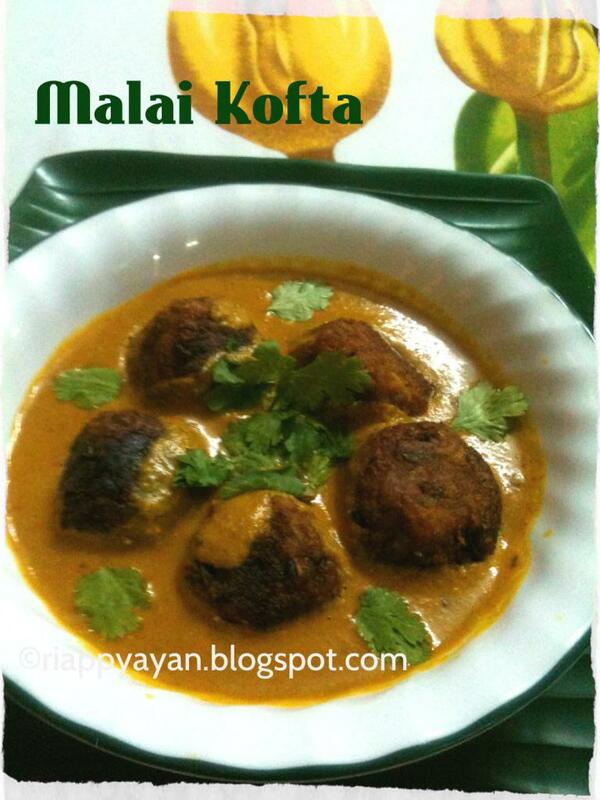 Delicious malai kofta, very nice writeup too. What are the plans for this DASARA. 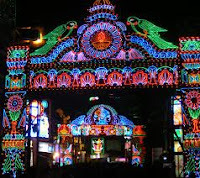 Navarathri/ Dasara is a big deal in Karnataka as well. ANd I think Tamil Nadu too, going by the sundal recipes on the blogosphere :) I've been hearing about the gorgeous pandals in Cal for years. I hope to be there one Durga pooja at least. Happy Durga Pujo! 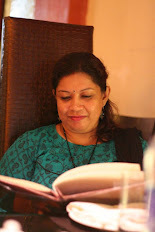 Lovely write up and glad to know more about durga puja, Happy greetings to u Indrani. Malai kofta curry looks mindblowing. Online, Buy Dry Fish Online, buy dried fish online, dried fish, Sea Food Online, Dry Fish, Buy Dry Fish.